In today’s modern and ever-changing world of cosmetic technology, Estheticians are required to understand skin from a cellular and scientific perspective. Estheticians and consumers alike understand the advanced changes that can be made within a medical setting - and physicians are realizing the supportive role that Estheticians can bring to their practices. There are many serious laws and regulations that must be taken into account when combining medical procedures with esthetics services, along with many specific protocols and processes that must take place in order to treat patients in a methodical manner. Estheticians are required to enlist specific personal and professional skill sets to work underneath physicians. Respect for the physician and the regulations of a medical practice are critical, while also understanding the Esthetician’s scope of practice. Working in a medical setting as an Esthetician can be both rewarding and beneficial for both yourself and your clients alike. Understanding the nature of advanced esthetics and the branches of knowledge needed are paramount to success in the evolving and popular medical spa arena. The skill set required of an Esthetician within a medical practice is multi-faceted and complex. The level of education and the mindset required to work alongside physicians and nurse practitioners is exceptionally important - with a clear focus on cellular change, anatomy, hormones, and scientific methods being a critical need of the individual. The firm understanding that Estheticians are unable to title themselves as “Medical Estheticians” is an important focal point, as it does not have any legal value and misrepresent’s the license originally obtained. Estheticians must understand their place in a medical setting - which is to provide esthetics services directly underneath the physician. With esthetics technology such as microneedling, dermaplaning, and cosmetic laser skin rejuvenation being at the forefront of esthetics services in 2016, Estheticians are required to understand the knowledge and skills required for the competitive advantage of assisting their clients with changes at a dermal level. With the supervision of a skilled, board certified physician, Estheticians can assess and perform the services necessary to assist clients in achieving real change. Respecting the skill set and scope of practice for the supervisory staff and physicians, along with performing only what is contractually within the job description of the Esthetician position is exceptionally important. Esthetics practitioners within any advanced setting should obtain certifications underneath their license for each individual advanced procedure. Specific courses for cosmetic lasers, for example, are crucial to add to the esthetics portfolio, in order to showcase added training beyond that of the esthetics fundamentals course. Estheticians looking to gain a competitive edge will not only obtain as much outside education as possible, these individuals will also build their skill set of public speaking, professional development, HIPAA compliance, OSHA regulations, and much more. Having a thorough understanding of the dermatology and plastic surgery procedures, in addition to all new and modern cosmetic procedures on the market, is critical in assisting your clients in answering questions. Constant continuing education and training on advanced techniques is paramount to the success of any Esthetician within a medical setting. 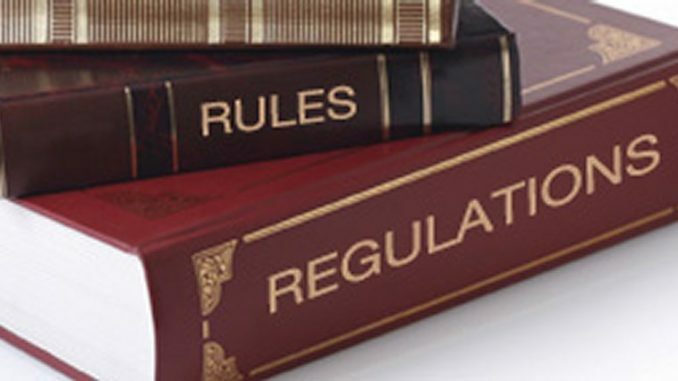 A thorough understanding of state laws and regulations, through constant monitoring of any changes with state board regulatory agencies, is a critical tool that must be taken seriously as an Esthetician in today’s market. Each state possesses specific requirements for Estheticians within their own board as well as laws under the state medical and nursing boards. Overall, Estheticians must always assume that the physician is the lead authority in any protocols for patients that are requiring an advanced procedure. Estheticians must obtain written permission and treatment plans through the physician overseeing the practice, with monitoring by the physician of all notations within patient charts, products and modalities used, and any other thought process made throughout the duration of treatment. Proper communication is exceptionally important between the physician and support staff when treating patients in a medical setting. Having daily and weekly communication when dealing with patients receiving treatment is critical. Thorough organization of charting systems, patient and employee safety and sanitation practices, and consistent monitoring by supervisory staff is the key to medical spa success. Estheticians must understand and uphold a high skill level in documentation and notation skills. Through the initial consultation with clients, the understanding of medications listed, immune system dysfunctions, stress levels, ingredients in products used, and past procedures performed on the client are important to assess. The Esthetician must also obtain the skills and knowledge needed to piece together proper Patient Care Plans within a medical setting that consist of combinations of needed procedures such as: chemical peels, microdermabrasion, dermaplaning, microneedling, cosmetic lasers, and more. The physician overseeing the practice must sign off on and give permission to the Esthetician performing the procedures. The correct use of medical terminology is especially important when it comes to medical charting. Dependent upon the medical charting system of the practice, the Esthetician must frame his or her language in the most objective terms possible, steering clear of any biased phrases that could be misinterpreted. Diligence and accuracy in record keeping is essential, and should be a very important part of the day-to-day activities of an Esthetician. In addition to daily charting, supervisory and management staff must check behind all service providers daily and/or weekly to make certain charting is being performed to the level needed for the practice. The charts must then pass through the physician overseeing the practice, in order to obtain the correct signatures, documentations, and authorization needed to move forward in treatment. Patient and client follow-up after procedures should be documented within the charting systems as well - and must be approved in terms of communication methods with the patient and documentation of the interaction. A complete understanding of liability insurance is exceptionally important to an Esthetician in this setting - as the supervisory physician must include these individuals within the malpractice insurance. A separate liability insurance policy on the practice as a whole, with policies on each individual practitioner, is also an added protection umbrella. All service providers within a practice should obtain copies of insurance policies that pertain to their performance for their own understanding. Seeking insurance providers that specialize in medical spa businesses and procedures is an absolute must. The option for these insurance providers is more prevalent today than recent years, as many individual procedures such as microneedling, permanent makeup, or cosmetic lasers are added to policies specifically. All persons approved by the physician for the performance of such procedures must be listed by name. At any moment that a new service provider is added, the insurance policies must be updated. Viewing these policies quarterly, not only yearly, is important for all supervisory staff to oversee. Maintaining complete compliance with both national and state regulatory agencies is an important factor. If there were every a setting that insurance was most important, it is that of a medical spa. Liability insurance not only covers the facility but each practitioner on the policies, with a specific focus on individual procedures within the practice. When adding a new medical esthetic procedure, it must be additionally added to the policy. Both the general liability coverage of the practice, in addition to the malpractice insurance of the physician overseeing the clinic must be updated to match all standards. All records in accordance with liability insurance standards of a medical spa office must be held at a high level of importance, as it is the basis of administration and authority within the safety parameters of the patients within its care. The office culture in a medical esthetics setting can be significantly different from any other business or spa environment, for the purposes of being OSHA and HIPAA compliant. From the front desk receptionists to any supporting staff member, all employees within a medical spa practice must be in tune with state regulations and compliance. A complete system must be in place per office, for the role of every action within the practice. From the time a patient walks into the office, to the manner in which they are spoken to at the front desk, to the escorting staff taking them into the treatment room, to the physician consultations, to the procedure itself, and to the conclusion and follow-up methods - all processes must be systematic in nature, in order to create a specific and defined flow that meets all requirements. The understanding and respect for organizational hierarchy exists in any office, but no more than that of a medical office. When independent thinking is encouraged in many salons or spas, the medical practice often adheres to a strict top-down human resource methodology. The understanding that an Esthetician cannot “over step their boundaries” is crucial. The freedom of customization and changing of protocols can be somewhat limited, which is an important factor to take into consideration when assessing goals for esthetics careers. Regardless of these processes, many individuals find the advanced setting of a medical practice more to speed with their own goals. Harnessing the qualities needed to advance in this setting are pieces of a puzzle that can take many years to perfect or obtain. Estheticians truly should seek out employment in a spa setting immediately after graduation, to obtain several years of experience treating the skin before implementing the idea that a medical setting is their ultimate goal. Job experience, additional education, and life experiences make a medical spa position that much more fulfilling and successful for both the practitioner and the business itself. To be competitive in the current esthetics market, practitioners must obtain consistent continuing education in advanced esthetics. The relationship between a physician and a supporting staff member such as that of an Esthetician must be respected from every angle. The level of professionalism of all team members of a medical spa practice must be held to the highest of standards, along with excellence in areas such as sanitation and medical charting. Compliance in the realm of liability and malpractice insurance is exceptionally important - and should be in the top priority list at the beginning of any medical spa business. The esthetics industry is exceptionally rewarding - assisting clients with not only their physical care but their emotional health and personal confidence as well. By changing the lives of our clients, we ultimately change our own. Living and breathing the spa industry is an experience only the select few are lucky enough to embody. Treating your career as an art, and ultimately respecting the laws and regulations which encompass that craft, are an important aspect of any endeavor in the advanced esthetics field.